I will spend my autumn and probably winter editing through all my selects from the past 3 seasons of underwater photography for an art book that I will create. So many fabulous models’ images to go through in what I consider to be an arduous task: the crème de la crème. I will solicit the help of my husband (my biggest fan and critic) along with another photographer’s critical eye for the final cut. Here are a two more images of Katie, from the last day’s shoot. If I’m not blogging for a while, it means I am doing the “work” portion of creating. can be found in the depths of the waters beneath us. 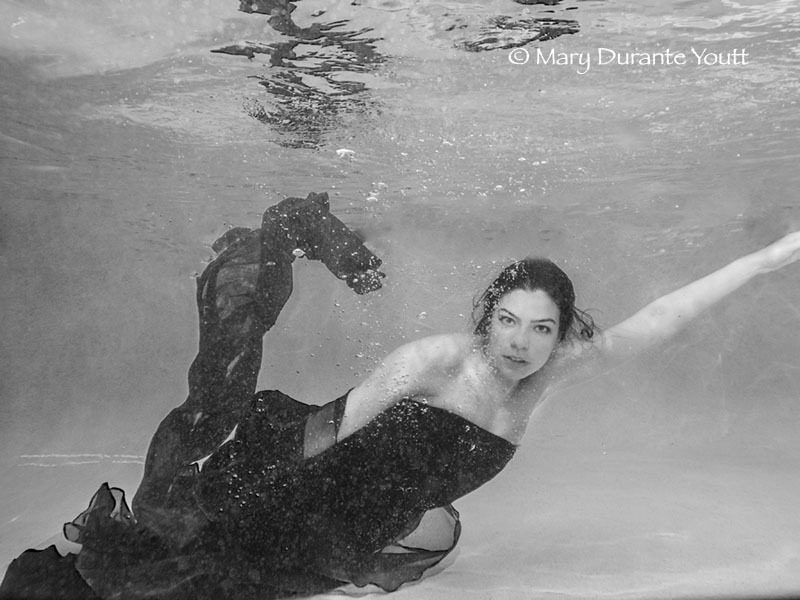 Yesterday was what I fear to be my final underwater photoshoot of the season. The weather and water are turning cooler. My models let out shiver sounds as they dipped their bodies into the chill. Yes, I do the same but have more layers of fat to keep me warm then either Caitie or Lillian. Once submerge and moving around, their bodies get used to the temperature as go to work. The season was too brief – home renovations that should have been completed by May crept into July and a 2 week holiday in Italy pushed my start date to the end of July. Oh well, life happens and I am not complaining, just stating a fact. 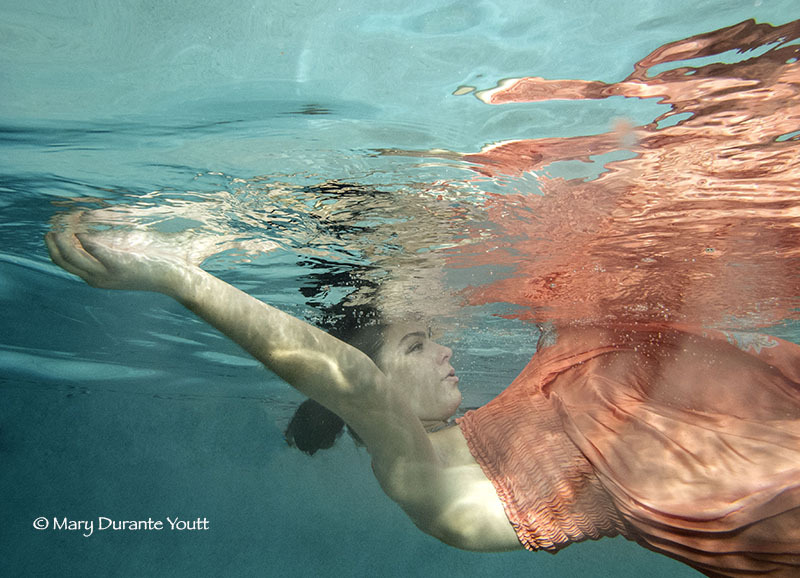 Lillian’s first underwater shoot was last year about this time and she remembered that the water was even colder then. I met Caitie at last Saturday’s fashion shoot and she was willing to give it a try. You would never know that she didn’t have underwater experience. She is beautiful, poised, graceful and so much fun to photograph. We could feel the drops of rain beneath the surface. Pelts of water as the sky had quickly darkened and opened up. A downpour that pretty much ended our session. Lillian and Cyre (who stopped by to help as a stylist) gathered up as much as they could and stashed things under the patio umbrellas. The sun tried breaking through but when the thunder began to roll, we retreated to Arlene’s sun room, knowing that our work was done for the day. Still not sure how I can justify this as work… more like a midday pool party with some fun-loving ladies and a camera. 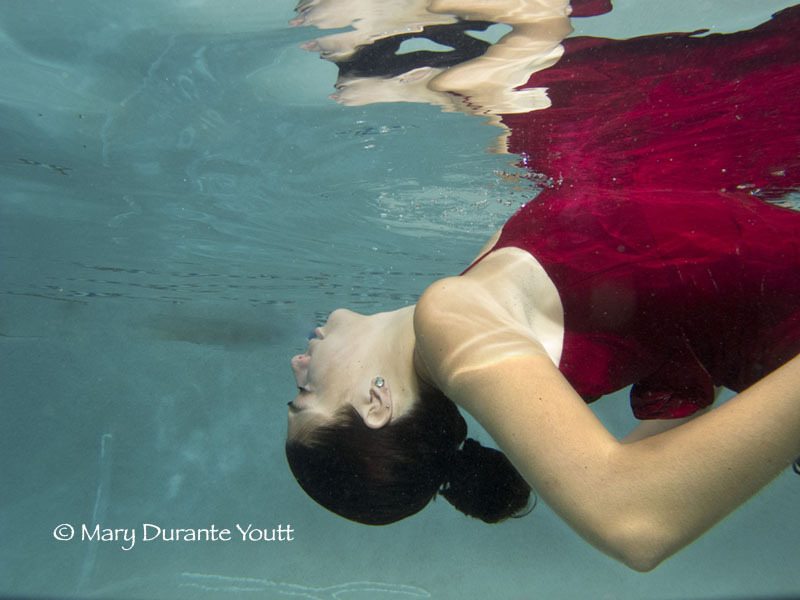 Yesterday, I had another underwater photoshoot, this time with a petite dancer/model that I met through Model Mayhem. 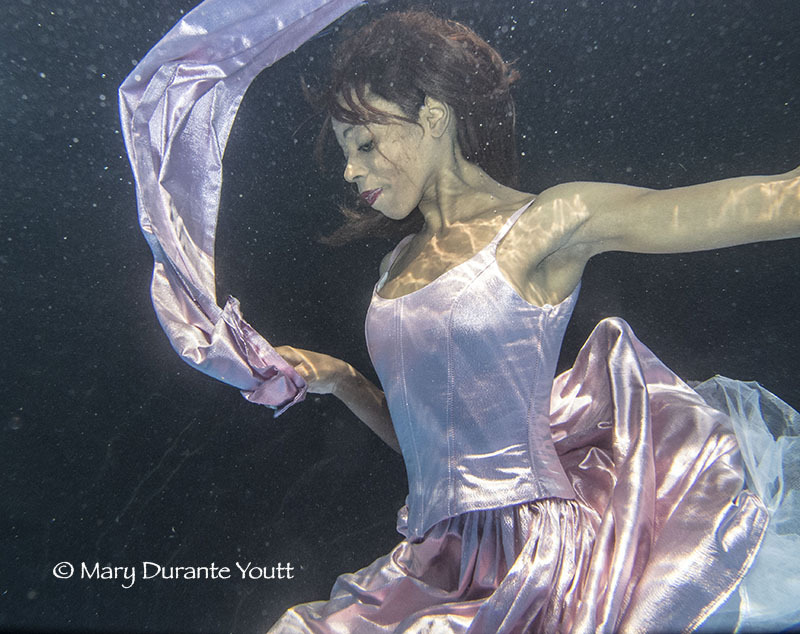 Although Charlotte had underwater listed as one of her genres, she had never done one before. That is true of a lot of the models, they list things that interest them and so I took a chance with this lovely little redhead. What the heck, the shoot was a collaboration, I supply the pool (thanks Arline), lunch, sunscreen, towels, robes and gowns, time and effort. They supply their time and effort too and Charlotte quickly discovered that underwater modeling is more challenging then she expected. 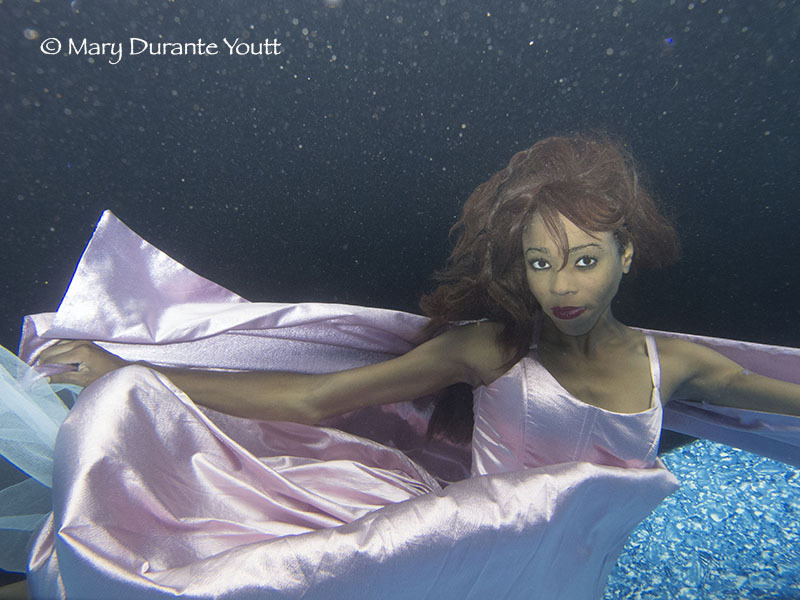 She wan’t comfortable in the deep end of the pool so I moved the blue backdrop to the 4′ end. Getting a breathing technique and timing down pat was the first issue she came upon. She had worn her contacts and didn’t bring the cleaner or case with her so she wore them underwater. There’s a lot to focus on as a model. But we got a few really good shots and managed to have some fun while working. Although the chlorine bothered her eyes a bit, she didn’t complain or let that stop her from doing her best. Even though her hair fell upon her face, I really like the feel of the image above. A wardrobe change with time to warm up in between. I’m still going through more images, but wanted to get these images posted and out to her because my weekend is full of more fun things. Another shoot tonight – my first attempt at underwater night photography. Can wait to see how things turn out. 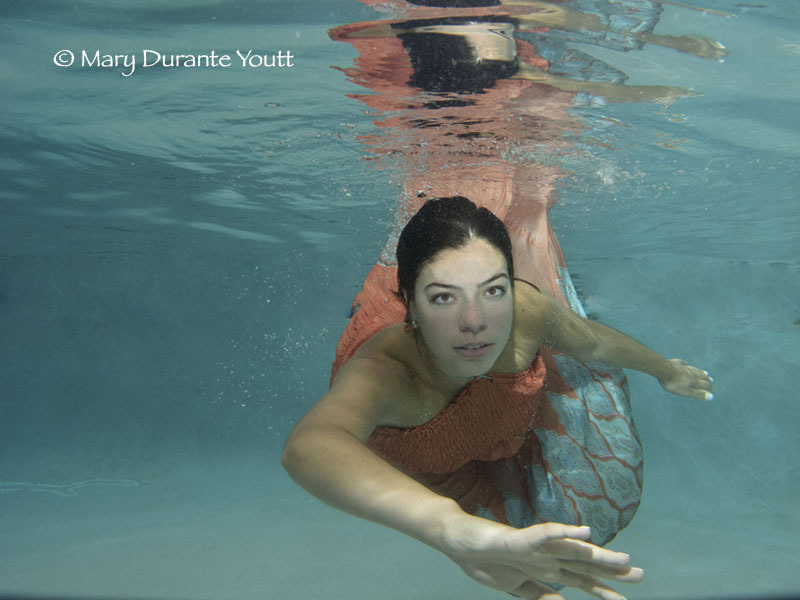 while trolling craig’s list and my husband, Jene Youtt’s Model Mayhem casting calls for mermaids. I got several responses from females. 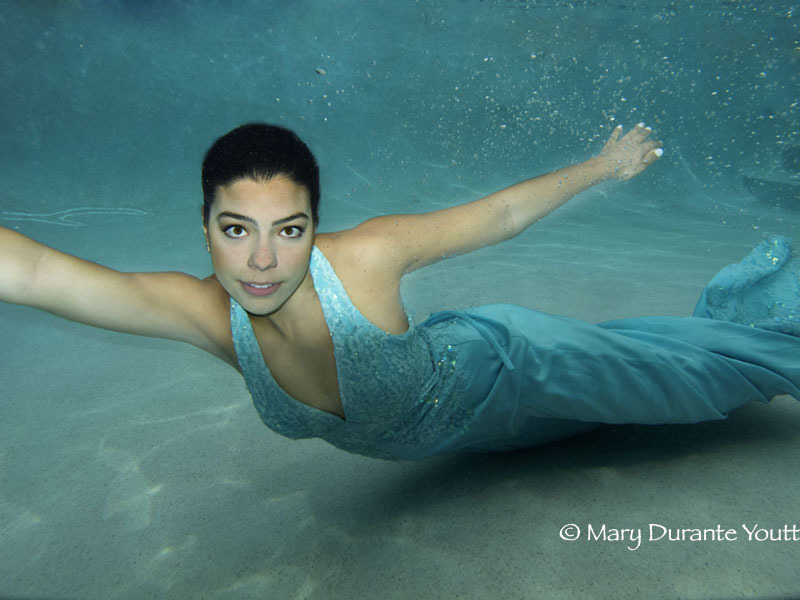 All interested in underwater photoshoots but so far, after emailing my phone number and asking them to call – no response – nada. I was hoping to pair this young man with a female model because I thought it would be interesting. The weather is a factor in scheduling, after a number of texts, I called Hubert @ noon and picked him up about 1:45 for a hour’s shoot. Nursing a hangover, he gave it his best and I got a few images that I added to my portfolio. He’s not really a model, but has done some modeling for his photographer friends a while ago. He was s pleasure to work with and a real nice guy. I’m new to underwater photography and haven’t been able to figure out how other photographers manage to shoot without all the bubbles spewing from the models. Are their images that heavily photoshopped or just experienced underwater models? A sweet wanna-be mermaid contacted me, the selfies she sent did not impress me but after speaking to her, I couldn’t help but say yes, let’s give it a try. She stepped out of her car with a warm hello and bright smile. So much prettier in person. We did a fitting at my house, she followed Jene and me to my friend, Arline’s pool and stepped into the Jessica McClintock shimmery pink ball gown. Stunning was the word that popped into my mind. The sun played peek-a-boo and then the clouds rolled in ending our session. What I loved about Livy was her eagerness and forethought of the pose before slipping under the water. Such a sweetheart. I am planning a reshoot with her, using the black backdrop so that the pattern of the pool liner does not distract from the shot. As my husband says, you never know who will walk through her your door. So many times, you are shown portfolios and the model shows up looking nothing like their photos. Although that was true with Livy… the selfies did not show her radiance.